Daphne Gronich, the indefagitable president of the Palisades Americanism Parade Association (PAPA) for three years running, has been named Citizen of the Year by the Pacific Palisades Community Council. The Council’s Awards Selection Committee reviewed nominations received from throughout the community and voted to present Golden Sparkplug awards to five deserving activists: Sylvia Boyd, Patrick Hart, Amy Lundberg, Karen Stigler and Veslemoey Zwart. In addition, the committee elected to give the discretionary Pride of the Palisades Award to Bob Benton, a prominent local businessman and volunteer commissioner of the Pacific Palisades Baseball Association. “We had an unusually impressive list of nominated residents this year,” said committee chair George Wolfberg, the PPCC vice chair and a former Citizen of the Year himself. The awards will be handed out at the PPCC’s annual holiday party on Dec. 8 at Gladstone’s on PCH. “Daphne Gronich is a worthy descendent of past winners,” said Wolfberg, on behalf of the seven-person selection committee. As president of PAPA since 2014, she has faced the daunting challenge of raising about $125,000 a year in order for PAPA to stage the town’s iconic Fourth of July parade and the evening concert and fireworks display. Gronich must also coordinate the work of about 20 volunteers on her organizing committee, from securing the necessary permits and insurance to staging the pre-parade VIP lunch and recruiting parade entries. Gronich, an attorney, was active at Palisades Elementary and now serves on the PRIDE board at Paul Revere and the school’s Charter Council. She is also leads the Palisades Charter Schools Foundation. Bob Benton has served as PPBA commissioner for more than 20 years, overseeing one of the town’s most successful and enduring sports programs from January through June. He played a key role in the local campaign to fund and build the Field of Dreams at the Palisades Recreation Center. He’s also chair of the Park Advisory Board. As a businessman, Benton is a past president of the Chamber of Commerce and owned a family-oriented sporting goods store on Swarthmore from 1982 until this July, when he had to make way for Caruso’s Palisades Village construction. He plans to re-open his Sports Shop in the new development. • In November 2014, Sylvia Boyd created the monthly Food for Thought speaker series at the Palisades Presbyterian Church, and she has sustained it ever since. A 40-year Palisadian, Sylvia was inspired to launch the series after attending the funeral of a fellow church member who had an amazing life story. This motivated her to offer a way to share the outstanding lives, careers and experiences of Pacific Palisades residents “while they were still on this Earth.” Each event (the third Thursday of the month) includes a complementary lunch. Boyd, a retired international executive for the Tupperware Corporation, has for many years chaired PAPA People, recruiting and organizing dozens of volunteers to handle various tasks on parade day. • Patrick Hart has been a dedicated member of the Pacific Palisades Task Force on Homelessness leadership team since it’s founding in late 2014. He devised a satellite mapping system that monitors homeless persons in the Palisades and helps coordinate efforts by the Task Force, OPCC outreach workers, LAPD and LAFD. Hart also populates the map with identities and locations in about 60% of the PPTFH area to facilitate monthly enforcement statistics. “Patrick’s willingness to interact with homeless people and connect with them on an uncommonly human level is both admirable and crucial,” said PPCC President Maryam Zar. 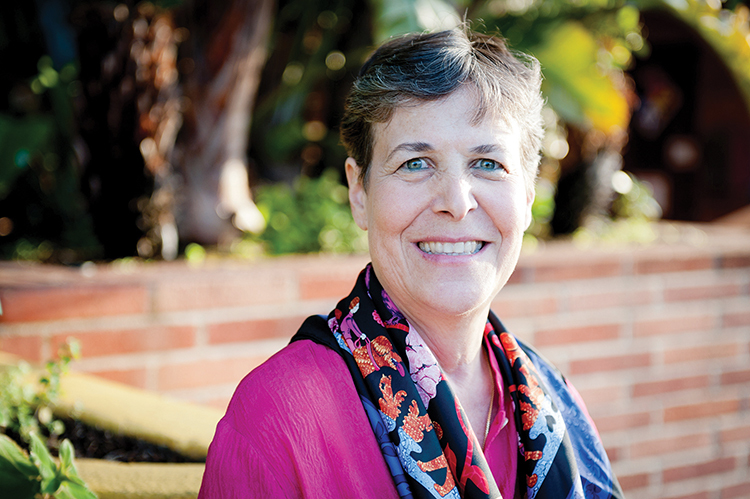 • Amy Lundberg led a four-year community effort to fight a non-conforming apartment project that, if approved, threatened to create precedent-setting development on the Sunset bluffs overlooking Santa Monica Bay. The neighborhood campaign resulted in supportive decisions by the West Los Angeles Area Planning Commission and the California Coastal Commission. A passionate former lawyer, Lundberg devoted hundreds of hours organizing and educating a community coalition, “Save the Bluffs,” which thwarted the developer’s plan to erect a 49-unit apartment development on geologically sketchy land at 16690-17000 Sunset Blvd. Amy succeeded despite the demands of full-time employment and child rearing. She also created an informa- tive website (dangerousdevelopment.com). • Karen Stigler, a Princeton graduate who has an MBA from Stanford and a law degree from UCLA, exemplifies Palisadians who happily invest their professional expertise in quality-of-life issues within the community. She has been a tireless leader the past 18 months helping to create and sustain the Palisades Alliance for Seniors, which has filled the void created when the AARP chapter folded in 2008. Stigler led development of the Alliance’s mission to help Palisades seniors age in place in our town by focusing attention on concerns such as such as transportation, health and personal finances. She established an informative, twice-monthly speaker program at the Palisades Library, and helped build a website (www.palisadesalliance.org) that provides important resources for seniors. “I’m also proud of the Senior Alliance’s new partnership with Palisades High, where we have high school students providing our seniors with technology tutoring as community service,” Stigler told the News. • Veslemoey Zwart, dynamic chair of the Rustic Canyon Park Advisory Board, has sparked efforts to raise significant funding for the improvement and repair of deteriorated infrastructure at the Rustic Canyon Recreation Center, including the historically-landmarked, 95-year-old former Uplifters Clubhouse. She has organized annual fundraising galas that have paid for much-needed improvements to the historic stage, refurbishment of the gym floor and tennis courts, and replacement of deteriorated courtyard doors with historically accurate replicas. Visit www.PacPalicc.org for details about the Citizen of the Year celebration and to reserve dinner tickets.